Yes, these are 5,000 m&m’s and no, we are not going to eat them all in one seating. Turns out it’s clearly quite a lot and 5 thousand apps is definitely a huge number when you can actually visualize it. This makes this milestone even more meaningful, exciting and inspiring for us and we hope to add 5 more to this gallery soon! 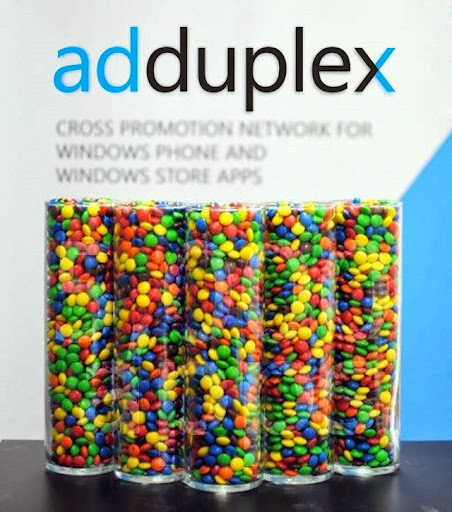 Thank you very much to everyone who participates in the cross promotion part of AdDuplex! Thank you to everyone who supported us over the years by purchasing commercial advertising from us! Thank you to everyone who spread the word about AdDuplex and helped us get where we are today! P.S. : We wanted to award the 5,000’s app, but there’s no definitive way to pick the exact app. So we decided to pick a random app from those that launched on AdDuplex yesterday (and allowed us to publicize their use of AdDuplex). This app is LIVE Brush Canvas Draw and it’s getting 5,000 thousands (aka 5 million) free ad impressions on AdDuplex. Congrats Axilesoft!